This post is sponsored by Neutrogena and We All Grow Latina. As always, all opinions are my own. I tell most people, that ever since I turned 30 I feel like so many things started happening to my mind and body. I am 32 now and truthfully, I don't feel a day over 28. Even with the changes in my body, skin and even my mind, I feel young and full of life. That is not to say that I don't have to be on top of certain changes, especially my skin. I've always been one to love beauty products; from cleansers, to moisturizers and masks! I think it's so important to take care of your skin from a young age in order to see the fruits of your labor later on. Anytime, I am told I don't look my age I smile, thank God and my mom's genes and her advice; to always cleanse and moisturize my skin. 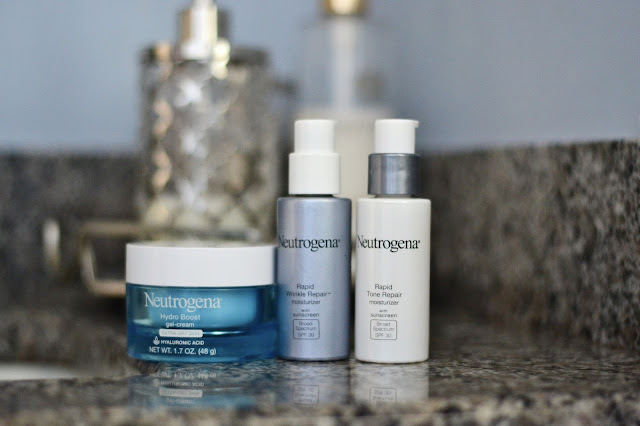 For today's post I partnered with Neutrogena to share one of my favorite moisturizers and skincare products. I typically wake up pretty early, especially now that Ben is in school, I get him out the door and then I move on to me:) all before Emme wakes up. My routine pretty much consist of using a cleanser (I alternate between liquid cleansers and scrubs), I then apply Neutrogena's Rapid Repair Wrinkle moisturizer; which I give 5 stars too, I always heard amazing things about it and started using it as part of my skincare routine a couple of years ago. After the Rapid Repair, I follow with the Hydro Boost Gel Cream. I am obsessed with anything hydration, weather it's for my body, face or hair, I want it! Neutrogena's Hydro Boost gel-cream is so rich in moisture, I love the cool and fresh feeling of it. By applying it after my Rapid Wrinkle Repair I guarantee extra moisture and smoothness throughout my day. 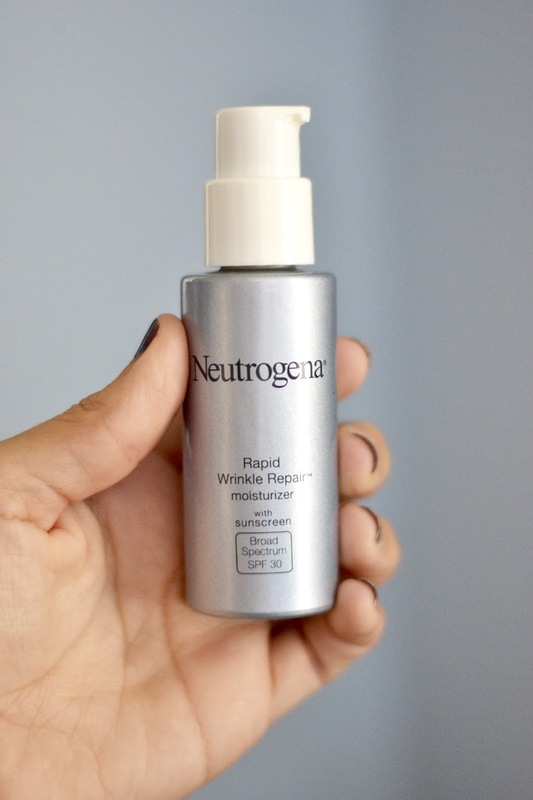 One of the things I love most about the Rapid Repair Wrinkle Moisturizer is that it contains Retinol, the #1 dermatologist recommend non-prescription anti-aging ingredient! And after using it for just one week, you will begin to see results. It also has sunscreen, and truthfully, it's one less thing I have to remember to apply in the morning! So I am always all for everything with SPF or sunscreen. By applying the Hydro Boost gel cream right after, you are guaranteed fresh, younger and glowing skin. Whenever, you are in doubt of what you need to skincare products to get, I recommend you get the two I mentioned above. I love that they are affordable, easy to find (hello! drugstore!) and they reveal fast results. Are you using these? If so, do you l love it as much as I do?